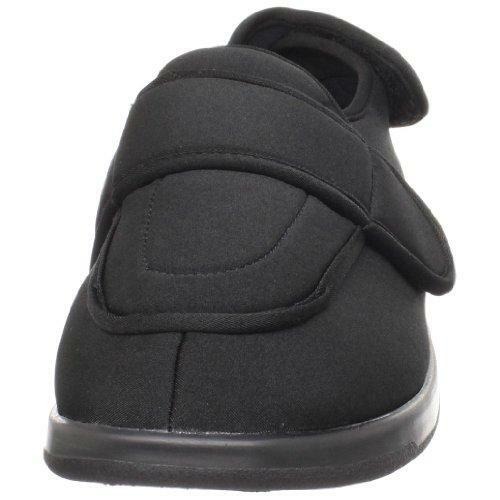 Propet Cronus - Black Mens PedRx Stretchable - Free Shipping - M0095B - propet, cronus, men's, comfort boots, pedrx, stretchable, black Slip into comfort in this ultra-accomodating shoe that ensures a perfect fit with no binding or excessive pressure on sensitive areas. 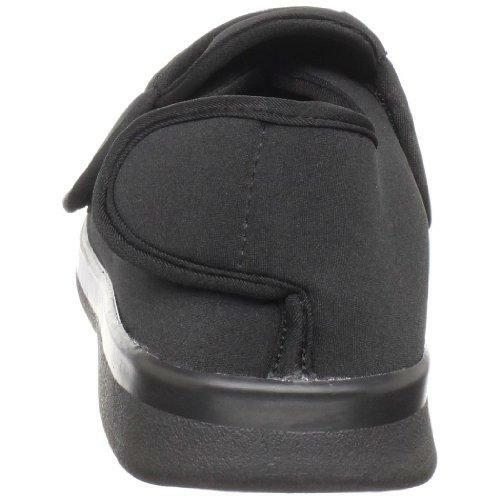 It features double depth insoles and a soft, neoprene vamp that stretches around your foot. 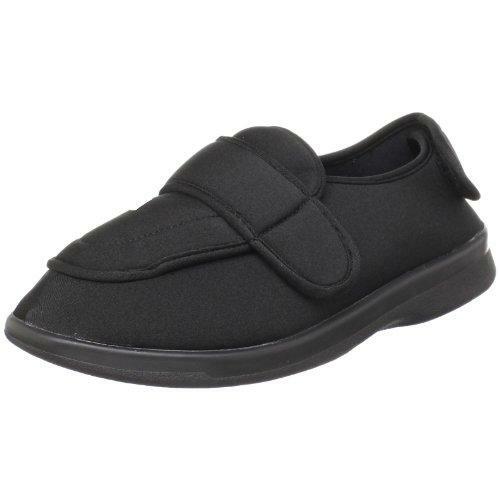 A5500 Diabetic approved for reimbursement under the Medicate Therapeutic Shoes for Persons with Diabetes Benefit (also known as the Therapeutic Shoe Bill). 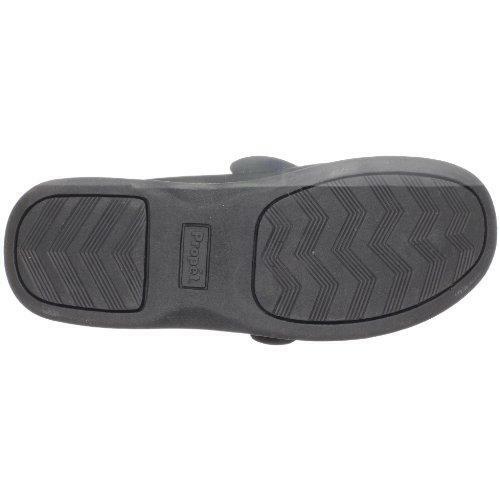 Love the Propet Cronus The most comfortable shoe I have ever owned. I hate to take them off at night! 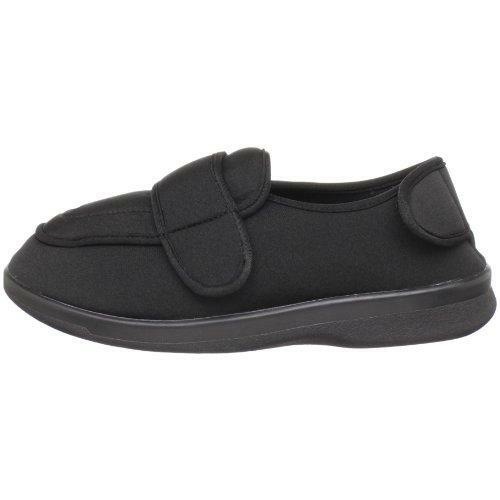 The Velcro straps allow length and width adjustment. Sometimes my feet swell. My other shoes become unwearable. The Propet Cronus always adjusts to fit like a glove. Okay It took me a while to figure out that I had to set the Velcro straps before I put the shoes on. They are a bit loose but I am able to use them. Perfect for disabled man. This is the 2nd pair for my paralyzed husband. Love that the fabric breathes and can be adjusted when his feet swell. 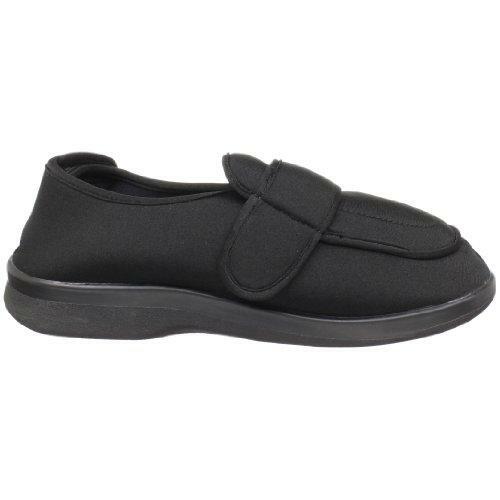 Look so much better than slippers. 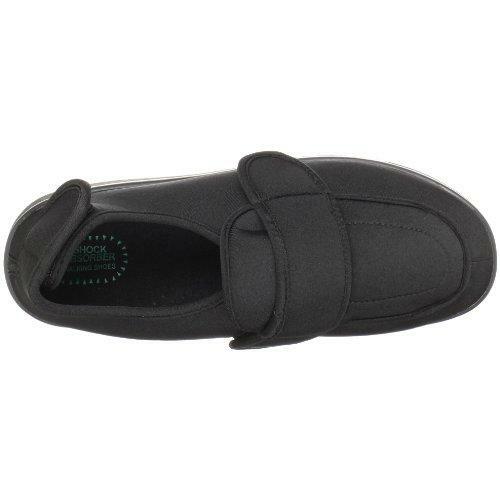 Good fitting slipper This slipper can be fitted to one's feet so that it stays snug and doesn't flop up and down when walking. I would have rated it excellent except for the terrible removable inserts which would not stay in place. I threw the inserts away, but you do need to get others for cushioning. I am using ones from my regular casual shoes, swapping them back and forth. I hope Propet has plans to add a much better insert in this shoe.